So, it's been a while.. let's get straight back into business. Just got in from the gym and switching the TV on I just caught the end of the new IKEA advert. Of course I didn't know it was for IKEA when it captured my attention. The lights, they are so pretty. 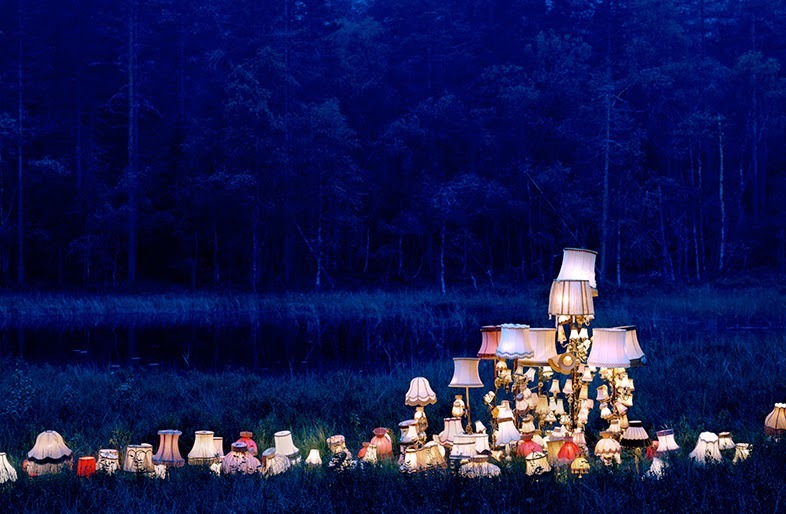 Like glow worms and fairies in a woods, table lamps, floor lamps and light bulbs hang in the trees and line the floor of a forest.